It all started a while ago. Members were asked to nominate suitable professional people to be invited to the event, business owners, bloggers, shop & gallery owners, writers for magazines and other representatives in their specialised fields. 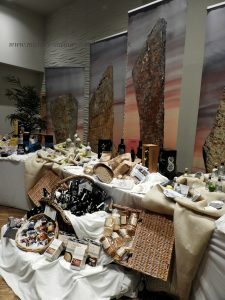 The uptake was good and the invitees seemed to welcome the chance to come and sample the wide variety of produce and crafts Orkney has to offer. Day one started with a sight seeing tour including the Italian Chapel, Scapa Flow, the Ring of Brodgar and Skara Brae. The 1st event was held at The Albert Hotel. 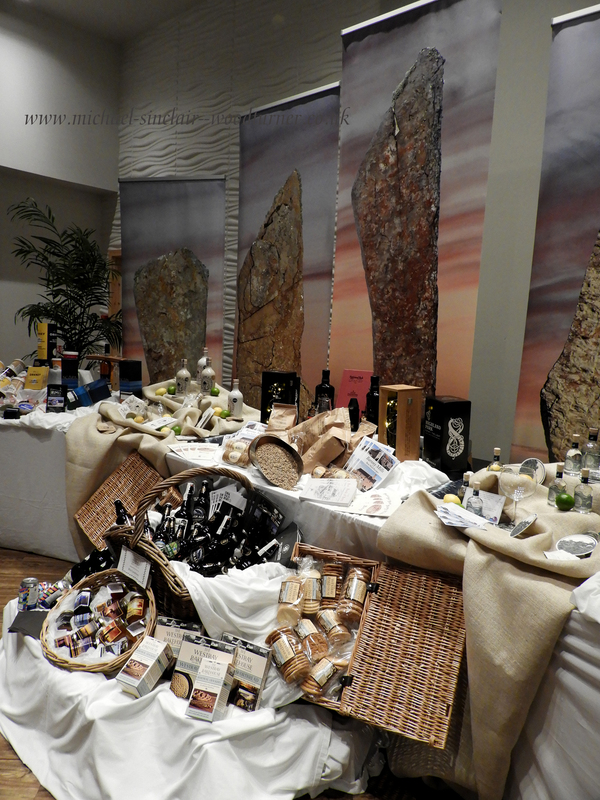 An impressive display showcased the Orkney Food & Drink members produce. A buffet lunch was laid out comprising of all the excellent produce the members are famous for, pickles, cheeses, biscuits, etc etc washed down with locally roasted coffee or even a gin (not for me as I was driving sadly). Lots of mingling and chat with familiar faces and new ones. 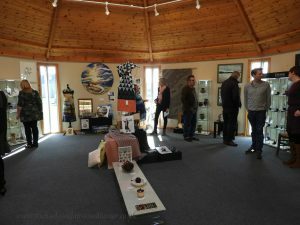 We then shot off up to Ortak where there was an exhibition of Creative Orkney members pieces in the Octagon. 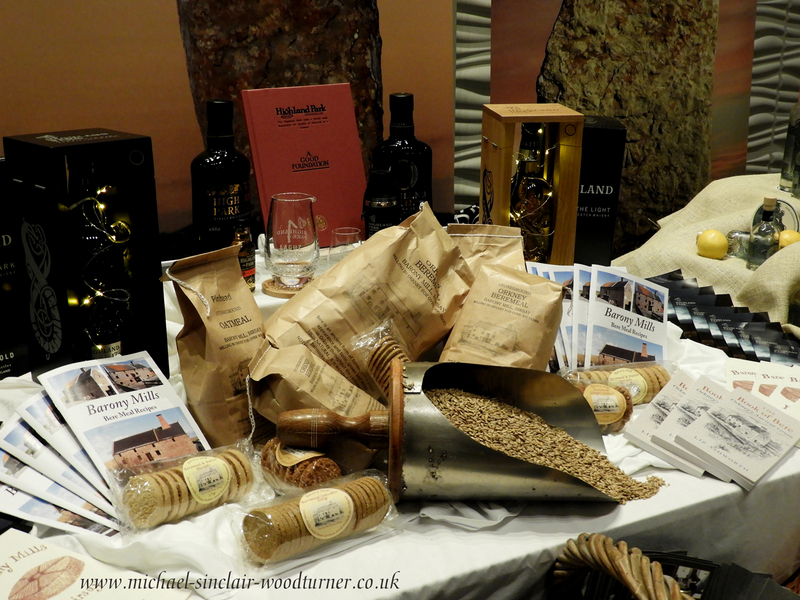 The foodie invitees called by for a quick look but then were whisked off to visit distilleries of all things whisky and gin. The Creative Orkney invitees were now given the chance to look at the crafts of Orkney and chat to the makers. 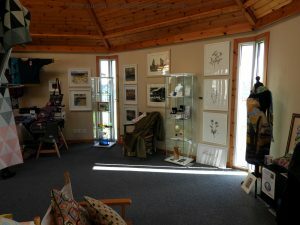 We had 3 pieces exhibited and had a lot of interest. On the move again this time home to prepare for a visit here. We laid out refreshments and welcomed the invitees. 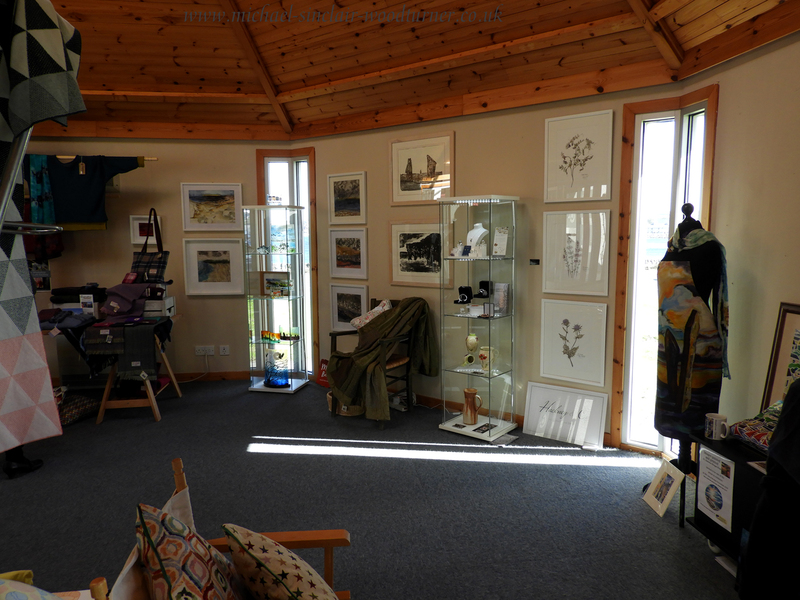 It was great to show them the Gallery and workshop, and chat about Michaels work over a coffee. I hope they enjoyed the visit as much as we did, it appeared to be well received. No sooner had they arrived, it seemed, they were off again, never mind no time to hang about. Shower, change and off to The Foveran for dinner. Excellent food, great company and an entertaining welcome by Harvey Johnston OIC Convenor (very funny). So a long and very full day, but a great one. Today has again been a very full day for the invitees, more place to see, more hospitality to sample this time in Kirkwall, the East Mainland and down to South Ronaldsay before heading back to the airport and flights home. A big thank you to all who helped to organise the event, all who took part and to the guys who decided it was worth a trip to sample what Orkney has to offer. Hope we can do it again.